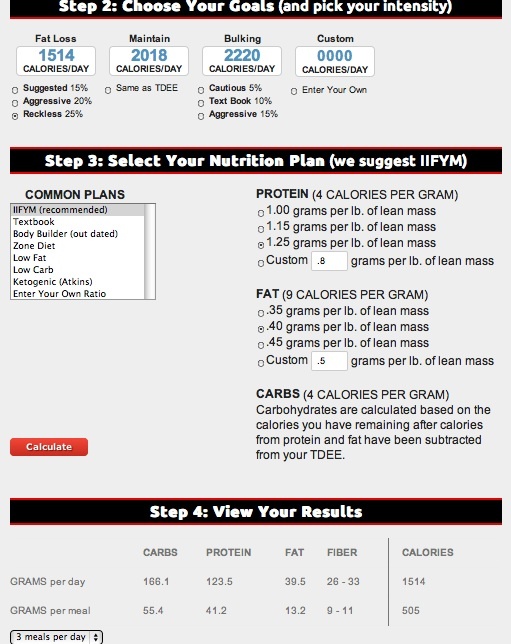 This past week was the first week Bobby and I attempted this IIFYM (if it fits your macros) thing. Which is basically where you eat to hit a certain amount of fats, protein, carbs, and calories per day. The calculator on the website breaks it all down for you after you fill out basic information about your body, goals, and how often you eat. It is actually really interesting because you can technically eat junk food as long as you stay within your target area. Personally, I do not like that, but it is possible to do. I guess it will be nice on those days when I am craving something you normally couldn’t have with other meal plans. Read more about it on the website here. Yours should be different, as if goes off weight, body fat, etc. in step one. It is customizable to you. Something I like so far is the high carb allowance. Which to me, means healthy breads, and baked goods! :) I am having a harder time hitting my protein though. I use the Lose It app to track my macros through out the day and find it extremely helpful. I plan on trying this for a month and seeing what results I get. I like trying new things because it keeps me focused and it makes me try new things. Start by taking 1/2 C. of the blueberries and banana and mixing those together until smooth. 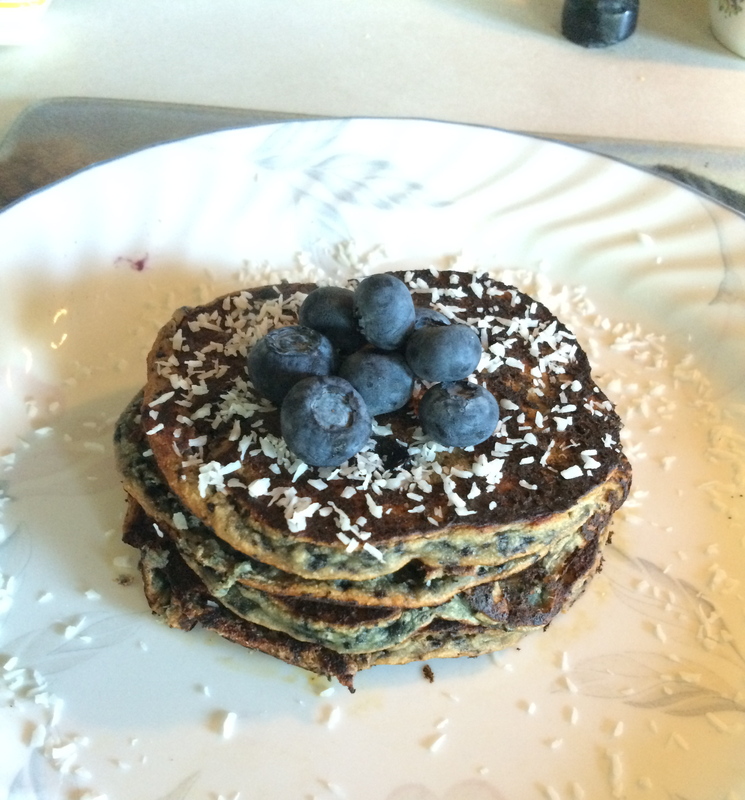 I used our nutribullet to blend up the blueberries prior, but not required. Place this fruit mixture in a bowl and add in the egg, coconut, and flour. (Note: This batter is thicker than any of my previous pancake recipes). Bake! 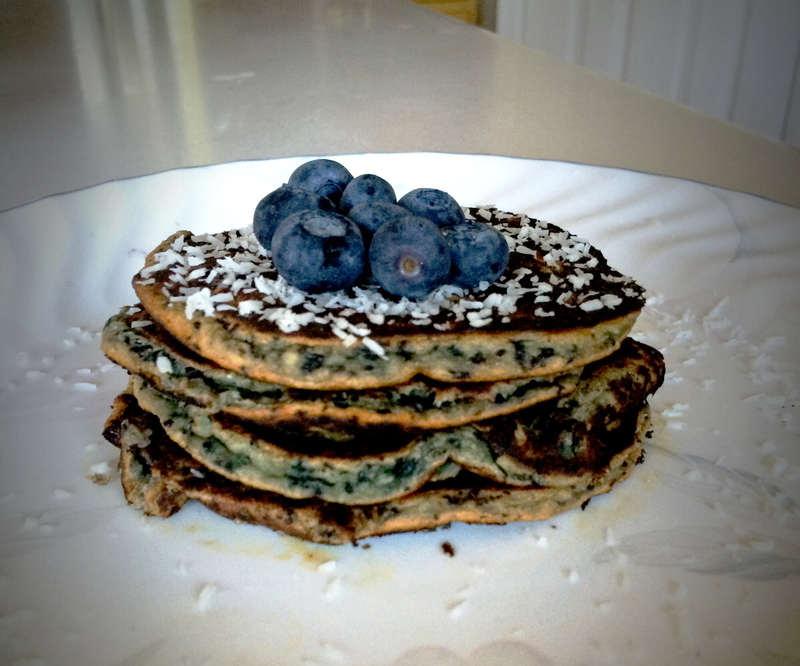 I added whole blueberries into the pancakes once I had poured the batter on the pan. Add toppings, if you want them, and eat! Awesome recipes!! I can’t wait to try out some of these! Thank you for sharing.